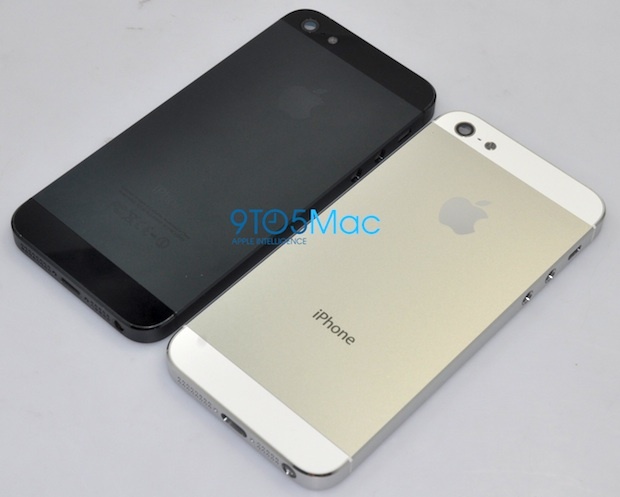 A series of pictures have surfaced that claim to show parts of the next iPhone in both black and white colors (iPhone 5, iPhone 6, call it what you want). 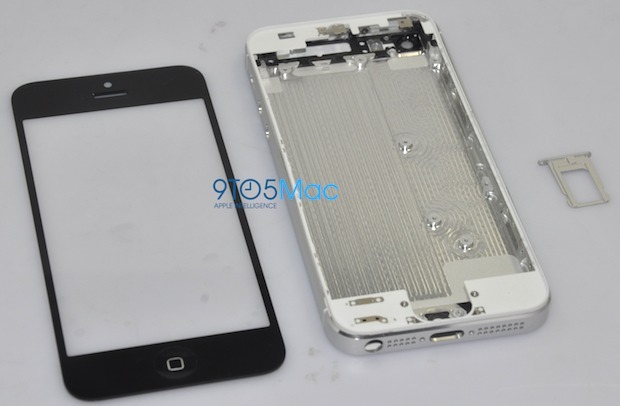 The most notable images are of the rear shell of the alleged next-gen iPhone, where the Apple  logo and “iPhone” tag are printed, and show what looks like an all new aluminum unibody construction. The device also appears to have sufficient room to accommodate the larger 4″ display that has been heavily rumored. The images were obtained and published by 9to5mac apparently from supply chain sources, though the machine cut lines shown inside the shell could indicate these are prototype pieces and may not precisely resemble the final shipping device. Other notable features shown in the photos are a smaller power adapter port at the bottom of the device, redesigned speaker grills, and the headphone jack appears to have been moved to the bottom of the device. The redesigned enclosure and 4″ screen fit nicely within our recent list of likely rumors about iPhone 5, other expected features include 4G LTE support, a faster processor with more RAM, iOS 6, and a better camera. The next iPhone is assumed to debut in the fall of this year, sometime in the September or October timeframe. Hopefully it’s just washed out from the camera flash, but it’s kind of ugly no? I mean it could be fake too, but that’s an extremely high quality fake if so. I don’t know what to do myself! This model isn’t really redesigned, its just bigger? The design looks fine, but I still hope it’s fake. I certainly do not like the idea of a new/different power adapter on the bottom. Hopefully that’s going to be changed. These are definitely fakes. Apple would never make a device with that many parts and lack of uniformity. There’s three parts to the back! Apple doesn’t do that anymore! I don’t like the headphone jack on the bottom. and the back kinda looks like a HTC phone that I’m forgetting the name of. This is definitely a fake. The port, knowing Apple, wouldn’t be changed. The matte parts on the back look like battery covers as they extend around the side. However, this might look like the real thing in many other ways, such as the screen and speaker covers. These look like rendered 3D images with images used as the textures, the laser cut is obviously a photo but look at the rim of the enclosure. Same goes for the back panel shots, looks like a couple images thrown on top of some generic renders. Furthermore, there are now shadows, which would be inconsistent with where the light is coming from at about 5 o’clock. Also, frankly, it’s too ugly to be a real Apple product. Looks like a test sled for new internals, but not a production case. Finally a smaller connector, the big one was outdated. I doubt that this is a production case as well. The front panel could be the real deal. But Apple is getting the Porsche syndrome, they don’t know how to redesign their products. I hope this are not real photos. Looks just the same as 4g(s) for me. On the contrary, I have a theory for the strange discolored stripe down the middle of the thing: either a touch pad (like on the PS Vita [I’m reaching at straws here]) or it is an epic fail of an attempt to get the copyright, apple logo, specs, UL logo, etc. onto the back. So, someone made a 3d-render of the iPhone 5 just like this. Now the part leaks and it’s the same thing.